San Diego is the land of surf and sun and its laidback attitude, the multitude of hiking trails, gorgeous beaches, and booming culinary inspire people from all over the United States – and even the world – to pack up their belongings and head west. 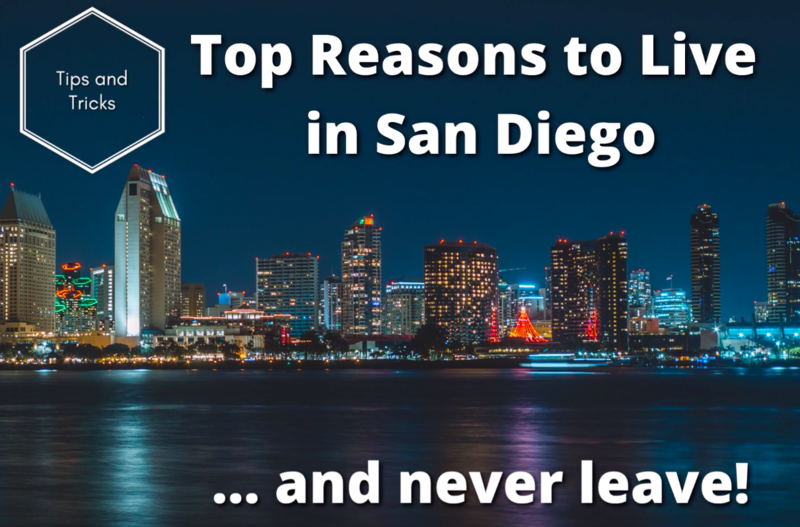 Here are the top our reasons to live why you should live in San Diego and never leave! Ah, the beaches. The city’s wide, soft, sandy beaches are packed in the summer months when the tourists flock to San Diego. In winter, however, the beaches are often refreshingly uncluttered of people and residents can go for peaceful walks along the shoreline. With so many excellent independent restaurants in San Diego, most residents make it a favorite pastime to continue to try new ones every weekend, while still making sure to visit their favorites. San Diego is also home to the world’s best fish tacos. San Diego is home to a plethora of scenic hiking trails. Head to Torrey Pines or challenge to head up to Potato Chip Rock in Poway to take in the high, panoramic views. San Elijo Hills also has a number of hiking trails, including a trail up to Double Peak, which is the highest point in San Diego County. The houses are small in San Diego (unless you have lots and lots of money), but no one is too bothered by it. Why do you need square footage when you want to just be outside enjoying the incredible weather, anyway? P.S. this is from one of our listings that just closed! We can see why a lot of people want to live here. Let us help you find your perfect home here in San Diego!